The NYC and Los Angeles fashion industry have used lookbooks for years to showcase a brand's look with great success. 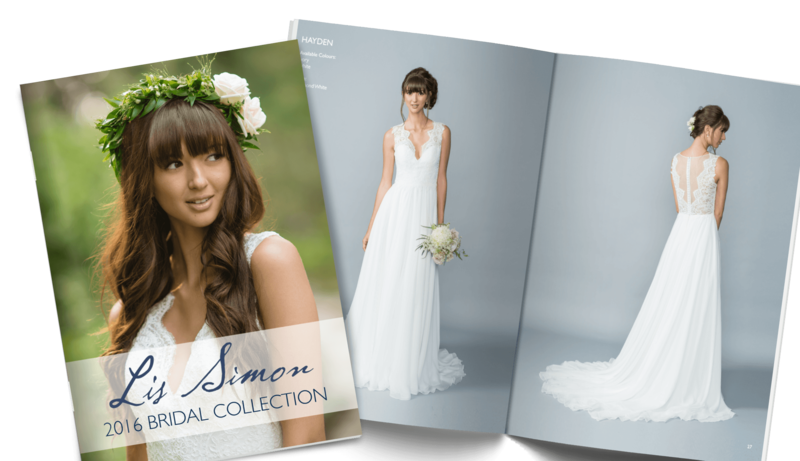 Now you can design your own look for any product, service, business, organization or industry and give your catalog, booklet, magazine, program, etc., the "Lookbook Look" with vibrant full color photos, pictures and images. We send them to prospects to demonstrate our fast, easy and affordable online printing services, high quality color products and free templates. We also display them in our waiting room to help make a great first impression on our clients and make them familiar with product information, services, size, colors, purchase price, etc. They are a great way to promote business marketing, architects, real estate, professional services, retail & sales, graphic designers, construction firms, health & beauty, music & arts, travel & tourism, manufacturers, technology and more. Our online photo booklet maker may be just what you are looking for. Just upload your images, drag and drop them into place, and we’ll make it pop! They look great. Thanks for working with me to complete! Great printing as alway. Love that you make me look so good to my clients. If you're looking for great printing on the cheap go with Printing Center USA... great quality, attention to detail and ALWAYS on time. I like the way they came out and the fast shipping. I couldn't be happier with the order that I placed - they arrived today...beautiful! They are exactly what I had pictured and quality is superior. Working with Samantha made it easy and simple - I highly recommend and will absolutely use again! My magazine cover looks awful! There was a person who checked things before. They would fix the bleed. Thus time my samples were all pixelated. The cover text was even blurry and that text was original. This is the second time. I was thinking of never using your service again. I know had a few pictures that weren't so good but the cover is inexcusable. The worse printing I've ever seen. The inside wasn't so bad. It was the cover. Our booklets turned out beautifully. Good prices, good communication, attention to detail. Overall an excellent result! And they were delivered on time! Quality was great and we will use your company in the future. Samples sent to us was a great help in deciding which type of paper material to use. We missed a border in the front page to match the last cover page which we wish was noticed by your designer. Overall fantastic and arrived earlier than expected. The cookbooks are beautiful and better than I expected. But, I was not told about a sizing issue until it was too late for me to do anything except pay the additional fee. I did not appreciate that. But the quality is great. Once again, we got a better product back than what we submitted. Very satisfied with the final product and process. I would highly recommend this company. They were very professional and called me if there was an issue with our order. They even expedited our shipping when something went wrong with the order on their end. I really appreciated them calling me to ask if I wanted a different type of paper that would better suit my project and make my project usable - they suggested I use uncoated paper for the inside of a workbook so our customers can actually write in them. This was something I did not know about and I am super grateful they took their time to explain it to me and guide me in the right direction. I would definitely work with them again! Quick, efficient, and responsive on the phone the phone when I had to change the order delivery timing! High quality paper! The pricing is reasonable and the work was done in a timely manner! Great product, customer service folks were friendly and responsive. The booklets we ordered turned out amazing! They arrived before I expected, which was a huge plus considering how quickly we needed them. Highly recommend for booklets and brochures. The booklets ordered were perfect. The client wants a reorder. The price was absolutely fabulous and the customer service was wonderful. I am so very happy and I will be using them over and over again. Excellent, exactly what we were looking for and at a great price. We will continue to use this printingcenterusa in the future. This order has been the best batch of our booklets. We love the color and the watermark came out perfect! Thank you for working with me directly and always giving great service. We will keep coming back for more! The booklets (and anything else I order from Printing Center USA) always look exactly how I hoped they would and are of high quality. The price can't be beat and it's incredibly easy to order. The workmanship is outstanding. My go to place to get publishing done. Always perfect never any issues. Great customer service always there to answers questions quickly and correctly. Fantastic quality and fantastic pricing! Definitely going to be my companies main printer from now on! 5 stars all around for Printing Center USA. I recently had a negative experience with an order that was fulfilled by them. Rather than waste time detailing what made the experience negative, I'd rather focus on what Printing Center USA did to preserve me experience with them. Shortly after expressing the trouble I had their account service director, Kevin, contacted me to review what took place and how to put measures in place to ensure no one else experiences that kind of trouble. I really appreciate the solution Kevin offered me, it was more than fair, but I am really thankful for the type of cautionary planning the company has instead of reactionary. The fact that they're going to use my situation as training for their reps not only comforts me concerning their response to situations that may occur during future orders, but also that they addressing other things that could become an issue before they happen. If I could I would give them more that 5 stars as a review. The work they do is fantastic, their transaction experience is fantastic, and as I just recently learned, should your experience not be at their normally fantastic level their customer service is fantastic and will help you reach a satisfying solution. Great Company! Always great quality and price! Our Art Show booklets came out beautifully! High quality paper, vibrant color, and sturdy binding. Proofing process was excellent and the Customer Service Reps were very helpful in getting my project expedited. The website was also very helpful in explaining types of paper, bleed, etc. If anything, I would give better timeline indications on proofing, production and shipping. For example, production doesn't start until the day after proofing is complete - which could take a few hours, depending on when submitted. I would highly recommend PrintingCenterUSA and will use them again for future projects. Outstanding customer service, the finished product was better than I could have imagined, and the booklets arrived 2 days ahead of schedule. Thank you and I highly recommend printingcenterusa.com to everyone for their printing needs! The booklets are fine, however the yellow sections came out slightly off colour - a more lemony yellow than the CMYK settings in the original file. I really was impressed with our booklet. Came out better than I could have imagined. Fast and affordable service too. Always great quality work with personable and knowledgeable customer service reps. Product was exactly what was ordered. A few hiccups with shipping, but Samantha rectified it almost immediately. PrintingCenterUSA delivered a high-quality product at a reasonable price in the timeframe quoted. You can't ask for more than that. Great customer service, quick turnaround! PrintingCenterUSA continues to to impress with great service, high quality product and quick turnaround. My first order - received great assistance from Lynn Bilbrey for improving my draft upload and from Samantha Fisher for discussing some tradeoffs. The finished product was beautiful. I'm very happy. great job done as always. I just received my custom booklets this week. I am very pleased with my finished product! I think the price is very reasonable and the quality is very good. I will continue to use them in the future. The quality of the product is amazing; so much so that I reordered the same booklet. The spot-on quality was the same each time. Customer service was amazing. I have been recommending Printing Center USA to friends. I think they look great. Next time, I would go with a heavier stock and less glossy paper, since we have areas for participants to write in notes. Excellent quality, delivered in a timely fashion and superb customer service! We were on a tight deadline and they worked with us and followed through to ensure that our booklets were delivered by our date requested. The quality of the books are good. My problem is with pricing. At the every end of the check out they add a production cost which you know nothing about....,so my estimates are not correct. Put all costs up front with zero surprises at checkout. Though I had issues saving my project (unsure if this issue was due user error or website error? ), eventually was able to place my order. Melissa was very helpful. The catalogs are of great quality and beautiful! This book surpassed my expectations! The quality was delightful! Once I figured out how to do the site and upload my work it was great! The team was very helpful! Although they didn’t really know me I felt like a was a long time customer. They treated me with care!! They even found errors after I submitted the book for correction! Not to mention the price!!! You will not be disappointed!!! Excellent quality, easy to work with. I'm a graphic designer who does a lot of print work, this was my first time ordering from Printing Center USA and I could not be happier! The price is excellent for short run digital printing and the quality is superb! Will 100% be ordering from here again. Extremely helpful staff, fast shipping and reasonable prices on an excellent product. My booklets were bright and beautiful! I WILL be ordering from these guys again in the near future. The ordering process was easy. The proofs were awesome as they showed where the coil bounding would be on the completed item. To top it off, the shipping status was continually updated and the booklets were plastic wrapped in easy groups to distribute to my colleges - that was the best there. Last year I printed a small format saddle-stitched booklet. I was great. This year, I expanded it to 92-pages with a clear front, black plastic back, spiral bound - and like last year... the printing was outstanding! Prepress software proofing is excellent and accurate. Nothing bad or questionable to say - I will continue to use Printing Center USA for years to come! Thank YOU! Absolutely thrilled with the product. The booklets far exceeded my expectations. They are beautiful, professional & powerful. I will continue to use this company for more & more jobs - great !!! I was honestly blown away with the quality of the booklets. The photos are so vibrant. Loved it! Stapling, cutting looks great. Booklets are ok. Printing varies a lot. Don't expect close to perfect colors. Customer support is not the great. Received some damaged booklets and they started an 'investigation'. They requested a bunch of pictures and even asked me to send the damaged booklets back, which I thought dumb since shipping probably costed more than the 7 damaged items. Still, while all that happens, you will have to wait. Searching for a better option where to print my booklets. Attendees at my recent concert raved about the gorgeous booklets that Printing Center USA had created for the event. The artwork and color was correctly balanced and sharp, the print clear, and the gloss paper chosen made it very professional looking. I was delighted and so proud of the results. The price was so reasonable; they arrived perfectly and on time. My account representative, Alexa, was very personable and helpful. I will use Printing Center USA again, and believe other people will start using you also after seeing the product at the concert. As some other reviewers have noted, I wondered what the product quality would be for such an affordable cost. The end result of the glossy printed catalogues we had made for a training conference exceeded my expectations by miles! The colors were bright and brilliant, crisp images, and of better quality than some past orders out organization has made for a substantially greater cost! Communication was outstanding when questions were posed and when expedited shipping was needed the assistance was stellar and rapid. This will surely be our ‘go to’ printing company for future events! And note I do not work for this company to eliminate any skeptics who think positive reviews only come from insider employees. Thanks so much! Incredible service, they kept me in the loop throughout the process and the best part was the quality of the printing! Very high quality and good pricing as well. Will definitely use them exclusively going forward. Great service. This is our 3rd order and the print quality is superb as always. Shipping was fast as well. Thank you! Will purchase from you again. My order looks amazing. The order process was super easy, and I received my order WELL before it was expected! Great service! I will be using them again! I ordered a booklet, and they created a very proffessional, quality looking piece. I am vesy happy and will be ordering again. Such a great experience and wonderful customer service! Our booklets were a great marketing piece and for an amazing price. Shipped in a very timely manner. Would highly recommend! Printing Center USA is wonderful at making sure that the finished product is exactly what we want. They continually check through the process and caught a mistake even after I had accepted the proof. Thank you for great customer service! Done quickly and accurately. Great price. Would use them again. Great service and incredible quality at a very reasonable price! Very Impressed & Happy! I have always used a local printer, whom I use to work for. This time I needed to print a Booklet, 5.5 x8.5, it was 44 pages, in Full Color! I wanted to make it like a Yearbook to showcase my organization with lots of pages of pictures. The local printer was $400 more than PrintingCenterUSA! We are a non-profit, we want more money for our charities and not spent on a book. So I needed to use this company, it was just more cost efficient. I called them a couple times to make sure they were legit. When we finally needed to submit the files, our files were so large we had to zip it to them in a different form than normal. They walked us through it, allowing more ease and a calm. Then I received the shipment sooner than expected. And OMG! These booklets looked amazing! I had so many compliments on the great quality and all around look of them. Very thankful! I will be using them again next year. Had a great experience ordering my booklet. I was able to contact them directly with my questions, and the electronic proof was a great free option. Definitely would recommend them to anyone, and use them again if I need anything printed. Although the team at Printing Center USA didn’t have the freedom to correct for a mistake I had made in my arrangement of the pages the booklet was printed as proofed and for a good price. Great customer service. Product met/exceeded expectations. The printing order was for a 44-page, full color booklet. The price and service from PrintingCenterUSA were both excellent. After submitting the document file, I received the PDF proof files the next day, and I was able to approve the job immediately. The order was completed and shipped on time. After distribution of the booklets, I've received a lot of complements on the quality of the work. You can count me as a very pleased customer. We love ordering oirnbooklets from Printing Center USA. Fantastic Products and great pricing— you can’t beat it. The printed text was crisp and well-defined. The colors are true to the original. This was my third order and I have never had a problem with the product or the shipping. Printing Center did a great job with some 5.5 X 8.5 booklets I recently ordered. I plan to use this shop again for repeat orders of the booklet and maybe some other jobs as well. The staff was great and the pricing fair. My order was completed and shipped in a timely manner. I recommend these folks for your printing needs! These booklets turned out beautifully! I had a two page spread that was not in the centerfold and PrintingCenterUSA matched it up perfectly. I also had some subtle gradations which turned our exactly as I had envisioned. Further, PrintingCenterUSA got the order completed with some drop shipped to our event location and the rest sent to our office. Mary and Kevin are great at making sure that I have utter confidence that our orders will be beautiful products and that they will arrive in a timely fashion. I love working with this team! excellent quality, excellent service, exceptionally reasonable prices. Been using them for years. Quality of printing was excellent! Absolutely as expected! Quality product... excellent service... and timely delivery as promised! Our booklets were exactly as we expected and were delivered in a very timely fashion. Having booklets printed by PrintingCenterUSA was a great experience. The online quote process was logical and simple. Mary and Lynn helped me to get my proofs approved, and my booklets arrived within 10 business days. The booklets were well packed, and the packages arrived damage free. I would highly recommend PrintingCenterUSA, and will definitely use them again. Quality worked delivered on the timeline promised. I would do business with this company again.